Omega Door and Hardware knows the importance of NFPA 80. What is NFPA 80? This standard regulates the installation and maintenance of assemblies and devices used to protect openings in walls, floors, and ceilings against the spread of fire and smoke within, into, or out of buildings. What does NFPA 80 address? NFPA 80 addresses general requirements and provisions for care and maintenance of fire doors and other opening protectives., Opening protectives that are addressed include swinging doors, horizontally sliding doors, vertically sliding fire doors, rolling steel doors, fire shutters, service counter fire doors, doors for elevators and chute doors, access doors, fire windows, glass block assemblies, fire dampers, and fabric fire safety curtains. A documented record must be maintained and made available to the authority having jurisdiction. NFPA-80 also requires that when damage impairs a door’s proper emergency exit functionality, it must be repaired with parts obtained from the original door’s manufacturer. Upon completion of repairs, the door must be tested to ensure emergency operation and complete functionality. 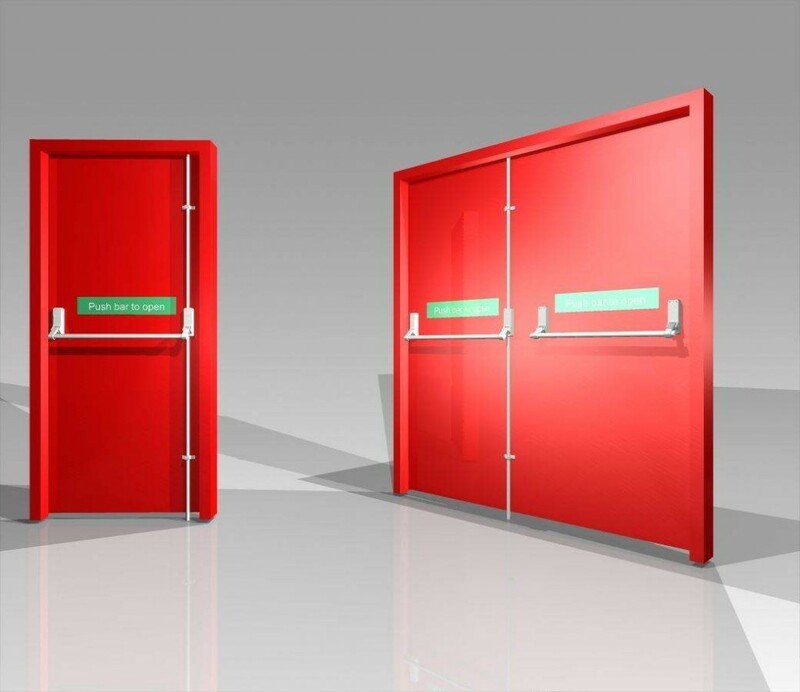 Technician expertise is an essential element of a safely and properly functioning fire door. The Institute of Door Dealer Education and Accreditation* has established a program to validate the credentials of individuals who have experience and skills in the installation and service of Rolling Steel Fire Doors. Soon our qualified Technicians at Omega Door and Hardware will be Certified as Rolling Steel Fire Door Technicians to perform these tests for you facility. Stay tuned!